As one of a particular breed of geek, specifically the Quadrus Oculus, I’ve often complained in my articles about the troubles I have finding decent headphones which are comfortable and decent enough for my needs. The main problem is the first issue – comfort. My glasses, which are incredibly bent, battered and chewed, press painfully against the side of my head if I use normal headphones or the type that sit actually on the ear. I’ve experimented and it isn’t the poor state of my glasses or the frames which are responsible – it’s just how the headphones sit on my head. Maybe I just have a freakishly shaped head (it is actually dotted with dents thanks to my little brother), but I think it’s a problem which effects a large number of geeks and gamers. There are two solutions that I’ve found. The first solution is to wear headphones which completely cover the ear, like the Sennheiser HD 215s which I currently use. 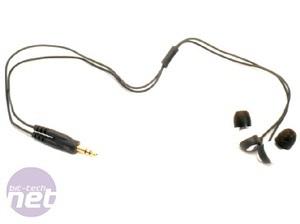 These surround the ear and put the pressure on the your head, which is actually a lot more comfortable. I can also vouch for the new Steel Series Siberia Neckband Headset which I got to try recently (it’s not out quite yet though) and is incredibly comfortable. 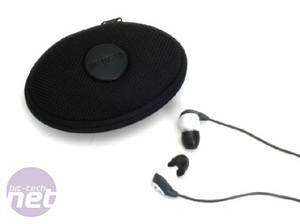 The other solution is to wear earbuds, which are OK, or in-ear earphones, which usually offer better sound quality. 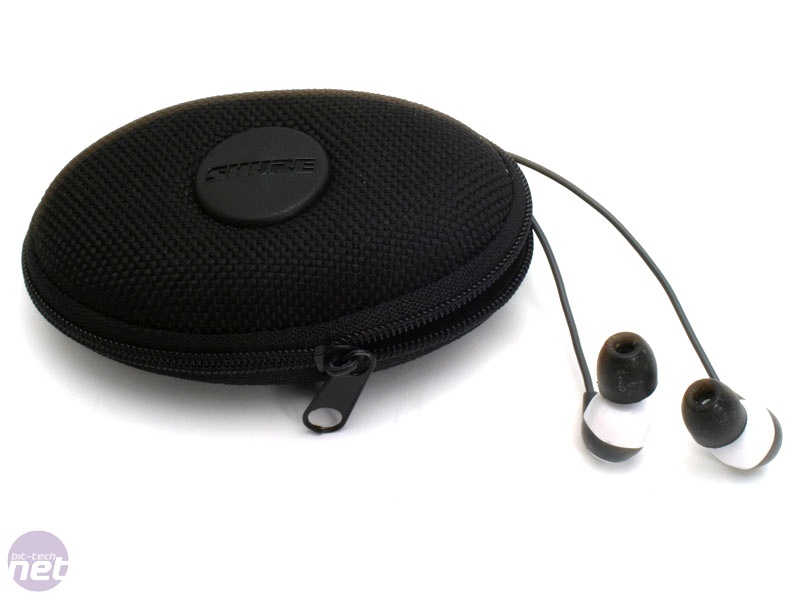 If you ask an audiophile who makes the best in-ear headphones then the answer you’ll usually get is Shure, without even a seconds hesitation. Now, I’ll be up front on this issue and tell you that I’ve never really been a big fan of in-ear headphones and it wasn’t until I started at bit-tech that I really got to see people using them regularly. Maybe my parents, who are both nurses, are over-protective but they always taught me that shoving things inside your ear was A Bad Thing. My past experience with in-ear headphone has been disappointing. It’s the price I’ve learned to pay for being a cheap, stingy guy, ironically. Decent in-ear headphones tend to cost an awful lot, especially if you demand some decent performance from your earpieces. In fact, if you’re wanting to get your ears on some really good in-ear phones then you usually have to fork the pounds over by the hundred. 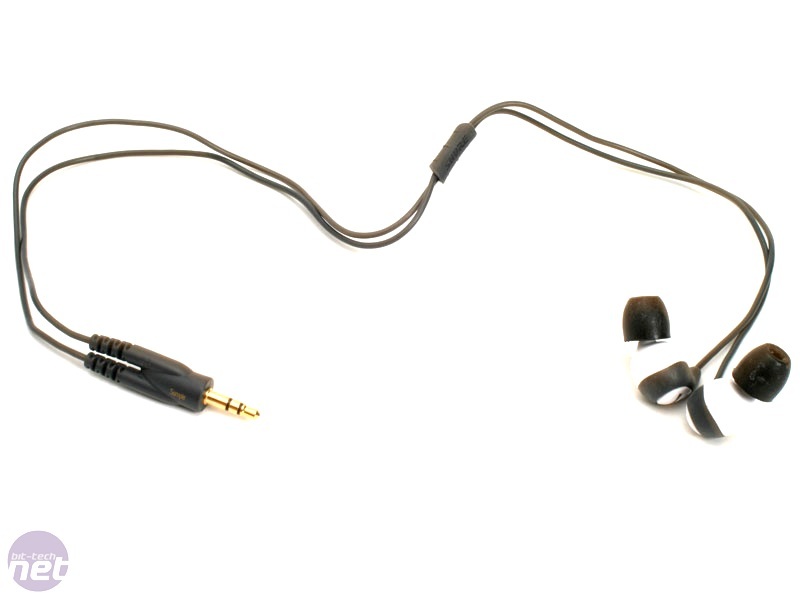 Thankfully, Shure has finally cottoned on to the fact that most audiophile n00bs don’t want to spend that much money on something so simple and small and the company has just released a new entry-level set of earphones. Aimed at the listener on a budget, the SE110s are those very headphones and the price is an awful lot lower than other Shure models – below £55 if you shop around enough. The question is though – does this low price reflect low quality? Well, that’s what we hope to find out, so flip the page to get our thoughts. 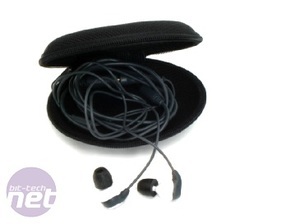 Etymotic's hF2s are some of the finest earphones you can find for £100. The company is now releasing a version which comes with customised tips which are made to exactly suit the shape of your ears. Read on to see whether bespoke headphones sound better. Sure, it says 'Gaming Communicator', but it really means 'headset'. Has Razer, one of the leading peripheral designers, lost the plot? Or is the Piranha really so good that it needs a new title to help stand out from the crowd?